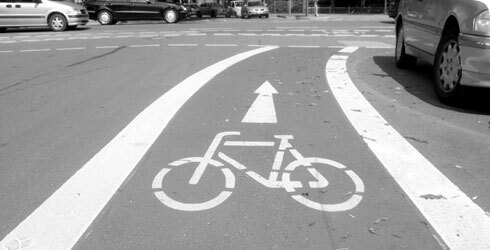 Matt's Bike Blog: Motorists Fined For Using Cycle Lane - Quite Right! Motorists Fined For Using Cycle Lane - Quite Right! This is obviously good news. But why does it need an officer being hit himself for police to take action? Rule 140 of the Highway Code tells drivers: "You MUST NOT drive or park in a cycle lane marked by a solid white during its times of operation." A number of drivers were apparently handed £30 fixed penalty fines for illegally using the bike lane. I very often see drivers parking or driving on cycle lanes. It's dangerous and inconsiderate, but nothing is done about it. I frequently have drivers tell me that cyclists ignore the rules of the rode, cycling through red lights and on pavements - which I don't, by the way. I happen to agree with them that cyclists who break the law should be penalised, partly because this argument is used against blameless riders such as me, but the same should equally apply to drivers who break the law. And at a time of austerity, couldn't this be a useful source of income...?